If all the beasts where gone, man would die of a great loneliness of spirit, for whatever happens to the beasts also happens to the man. All things are connected. Welcome to the Ollerton wolf page. This is a fun page done with my own thoughts on wolves, and images I have seen and picked up from various sites. It does not contain a lot of facts and information, but is done just to show my love of the wolf. For anyone who is interested in learning about wolves in more depth, I have provided links to sites that hold a host of information, history and reports about wolves. You will probably see a Comet Curser download box appear. If you click yes to download your arrow curser on this page will turn into a wolf cursor. The only drawback is that it adds a comet browser to your toolbar, but it is possible to go into comet preferences and turn it off. And of course the easy option is to click no and carry on enjoying my page. This page is here because I happen to love wolves, what's not to love? You will either understand the last comment or not, and if you don't, all is not lost, take a look at the photo's below and check out some of the wolf links, it is easy to get hooked on them. And how can you not fail to fall in love? Unfortunately for wolves� when they do get any press it is usually bad, or at best indifferent. As well as the press to contend with children's tales tend to make the public think of them as "sneaky" and of course the old "big bad wolf" term from childhood is usually used. I happen to think wolves are clever, beautiful animals that have survived against great odds, unfortunately not enough people seem share this point of view and they tend to be persecuted where they are settled and wherever they try to settle. Recently however, people seem to be changing their attitude towards the wolf (although still not enough). Yellowstone park for example have been re-introducing wolves back into the park since 1995; after wiping them out there in the first place! I wish the project the continued success it seems to be having. And recently, I have read a children story entitled The Three Little Wolves & the Big Bad Pig, written by Eugene Trivizas. All this is wonderful news and I hope it helps with peoples attitude towards this wonderful animal. I have sponsored a wolf through WWF, the wolf I sponsor is a 3yr old female named Poiana, and she lives in the Carpathian Mountains, Transyvania. A photo and link to her page are shown further below. But before that you will find a link to just a few of my favourite wolf pictures that I have found on various sites I have visited. Also below you will find a few links to some great wolf sites. I have tried to make sure any gifs and wolf photo's I have used come from sites that have given permission to upload them. If anyone sees an image from their site here and would prefer me not to use it just let me know via the guestbook or e-mail and I will remove it. 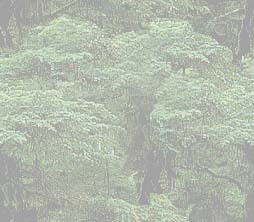 Do feel free to take any image from my site, but please make sure you upload them to your own computer. I hope you liked the pictures, dark wolf and the wolf cub are my favourites at the moment. 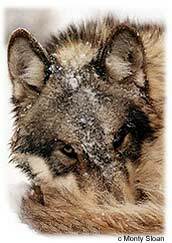 Below you will find a few links to wolf sites, the Links2Go Wolves site is excellent as it contains a host of further wolf sites to visit, and the Timber Wolf Information Network link is very informative. If you would like to do your bit to help the wolves, why not adopt a wolf. Every little bit each person does helps the wolves. Below you will find two links to take you to pages where you will be able to adopt/sponsor a wolf. It makes a great gift for yourself, family or friends. This is a picture of Poiana, the wolf that I have adopted. It was also a link to her adoption page, unfortunately WWF have updated the page and a wolf adoption is no longer possible. I have left the link in as you are still able to adopt an animal, or you can go on to the main page and, depite having no wolves, look at a very interesting site. 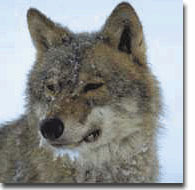 The link below takes you to a page with eight quick pointers to understanding wolves. The facts are ones I picked up from a wolf page on the Born Free website. You will find a link to the Born Free site on my Cool Links page. Here are two links each will take you to a page of wolf postcards. Why not make someones day and email them a beautiful wolf e-card. I hope you enjoyed my wolf page. Please do take the time to sign my guest book, I would love to hear your comments and suggestions regarding my site.